Daniel Bahr is a Member of the Board of Allianz Private Health Insurance. He is responsible for sales and distribution and reimbursement. He is joining the Allianz since November 2014. In 2014 Daniel Bahr was a Senior Fellow at the Center for American Progress in Washington D.C. and a Visiting Lecturer at the School of Public Health, University of Michigan in Ann Arbor. He was the federal minister of health in Germany from May 2011 to December 2013. 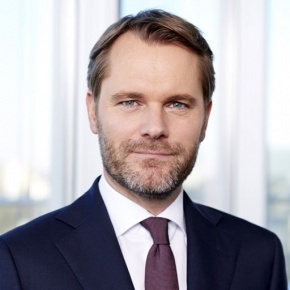 Previously, he joined the German government in 2009 as a parliamentary state secretary to the federal minister of health. While his time in the ministry he enforced many reforms for the healthcare sector. His priorities as minister were reforming the market for pharmaceutical products and ensuring the sustainability of financing the health care system. He accomplished cancer registries, a new system for organ donation in Germany and a long-term care insurance, so care for people with mental illness is now covered.He was first elected into the German parliament, the Bundestag, in 2002. From 2002 to 2005, he served as spokesman for demographic development, long-term care, and policies for disabled persons of the Free Democratic Party’s, or FDP’s, parliamentary group in the Bundestag. From 2005 to 2009, he was the health policy spokesman of the FDP parliamentary group. Concurrently, he held the office of FDP state chairman in North Rhine-Westphalia from 2010 to 2012. He acted as the federal chairman of the Young Liberals from 1994 to 2004, and was a member of the FDP Federal Executive Committee. Daniel Bahr holds a bachelor of science degree in economics and an MBA in business management administration with a focus on international health care and hospital management from Westfaelische-Wilhelms University in Muenster. Before his political career, he worked for the Dresdner Bank AG (now, Commerzbank AG) in Schwerin and Hamburg.